If you or a loved one has been arrested for DWI/DUI, you will need aggressive and experienced representation to secure your rights. You need someone who is willing to fight for the best possible outcome. Contact Rick today to arrange a free consultation with an experienced Houston Criminal Defense Attorney. You need a lawyer who knows what he is doing. You need a lawyer who has defended countless DWI cases. You need a lawyer who is Board Certified in Criminal Law. You need Rick Oliver Attorney at Law. Texas boasts the highest incidence of alcohol-related fatalities in the Country. No other misdemeanor offense is as publicized or politicized in terms of its danger to public safety in the state of Texas. As a result, many motorists who may not be legally intoxicated are nevertheless arrested and charged with driving while intoxicated. But, billboard signs along the highway warning motorists that if they drink and they drive they will go to jail are not in fact the law. Despite its hubris the state is actually required to prove a motorist is drinking and driving WHILE intoxicated. Because of the scientific and forensic testing often utilized in the prosecution of these offenses, DWI defense is generally considered to be the most complex of the misdemeanor offenses to defend. In other words, the sleepy and sleep-deprived motorists who admit to taking certain prescription drugs can also be prosecuted for DWI. Additionally, any combination of alcohol and prescription or illegal drugs that causes a person to appear to have lost the normal use of mental or physical faculties can lead to a prosecution for DWI. There is no such thing as a “Weekend Warrior” who practices DWI defense. An attorney either commits the time and effort required to master DWI defense, or they do not. Rick Oliver has committed vast resources in the pursuit of DWI defense knowledge and training and has the professional competence necessary to successfully defend against the state’s attempt to secure a conviction. A conviction for a DWI 1st offense is a Class B misdemeanor in the state of Texas. The potential penalty for a second conviction is a more serious offense classified as a Class A misdemeanor. No conviction is a good conviction. However, a conviction for a DWI 2nd offense has the potential to create more problems than merely those associated with the conviction itself. All DWI convictions are available in future prosecutions for enhancement. In Texas, the first two convictions are treated as misdemeanor offenses. A conviction for misdemeanor DWI can be a tough life-lesson. A conviction for felony DWI can be life-altering. It is impossible to be charged with a felony DWI without the existence of certain additional factors. The most common type of felony DWI occurs when a citizen is accused of his or her third (or more) offense. The first thing to remember about a felony DWI is that the state must still prove the underlying DWI. The fact that an offense is charged as a felony does not change the character of the offense itself. Mostly, what is different about a felony DWI is the exposure to the client. Clearly, the exposure to the client in terms of the potential that you might be sent to prison is greater. However, that does not mean you should simply throw yourself upon the mercy of the court and ask for anything short of a prison sentence. The Law Office of Rick Oliver Houston will thoroughly investigate the facts of the case to determine whether the state can prove the accusation. Driving while under the influence with a child passenger is considered a state jail felony.Even if you have never had a prior DWI conviction you will still face penalties associated with a state jail felony due to the fact that you were arrested under suspicion of DWI while a child under the age of 14 was in the vehicle with you. Incarceration in State Jail Facility for no less than 180 days and up to 2 years. Texas has a zero tolerance law when it comes to underage DUI, if you are under the age of 21, operating a motor vehicle and caught drinking you will more than likely be convicted of a DUI. In order to be charged all a police officer has to do is notice the smell of alcohol on a minor’s breath and you they will be charged and arrested. Under the controlling Statute Texas Alcohol Beverage Code 106.04. Intoxication Assault Intoxication assault occurs when a passenger is severely injured, and this can lead to charges being brought against the driver of the vehicle. Although no malicious intent to harm the passenger was involved the only evidence a prosecutor needs to provide is that the driver was intoxicated at the time of the accident. An Intoxication Assault conviction can carry a sentence of up to 10 years in prison. Let’s not forget about the fines which could be as high as $10,000, a suspended drivers license, a tarnished criminal record that will reflect a third-degree felony and the possible loss of employment and a college education. The risks are beyond measure if you do not have an experienced attorney in your corner to assist you with the legalities of an intoxication assault. Intoxication Manslaughter happens when an intoxicated individual accidentally kills someone while driving. It is a felony and the consequences are: Incarceration, costly fines, a criminal record and restricted driving privileges. 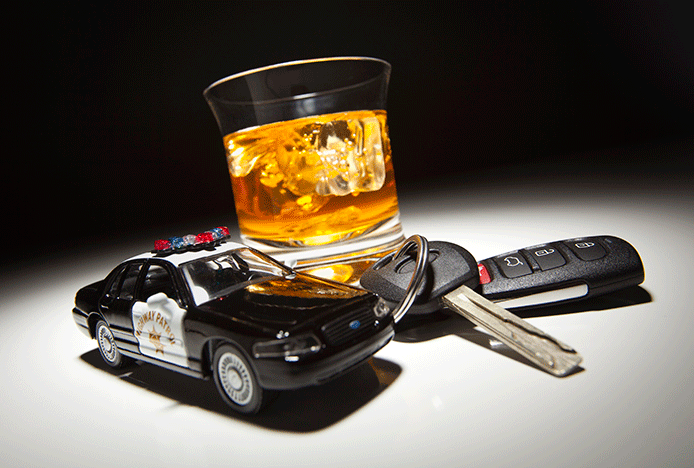 You need an aggressive attorney well versed in DWI/DUI defense on your side to help you. Houston is committed to assisting people facing intoxication manslaughter and other DWI related charges. People who are charged with manslaughter intoxication offenses are generally first time offenders. Once you come to us, we will take over your case and get you headed in the right direction as far as what your rights are. Intoxication Manslaughter is a severe offense! Boating While Intoxicated (BWI) in Texas is equivalent to Driving While Intoxicated (DWI) charges as far as punishments are concerned. Many people are unaware they are at risk for being charged with a BWI when operating their boat. It is important to know that the same definition of intoxication applies for both charges. Third offense: (3rd degree felony): 2-10 years in prison and fine up to $10,000. A suspension of your privilege to operate a motor vehicle may not be the end of the discussion. Potentially, you may be able to petition the court for something called a restricted or occupational drivers license. The court may impose certain limitations on your driving privilege during the period of suspension, but, generally, this type of license will give you the ability to drive to and from school or work, and also allow you to drive so that you can take care of normal household-related activities. Call Rick Oliver Attorney at Law to discuss your situation so that he can determine whether you might be eligible to pursue the filing of a restricted or occupational drivers license. Rick was licensed to practice law in the state of Texas in 2007 and began his solo practice on June 1, 2008. Rick did not come from a family of wealth or of lawyers. When he started, he did not know a single attorney–let alone a criminal defense attorney–in the City of Houston. He built the foundation of a successful practice with little more than a code book and a can-do attitude. 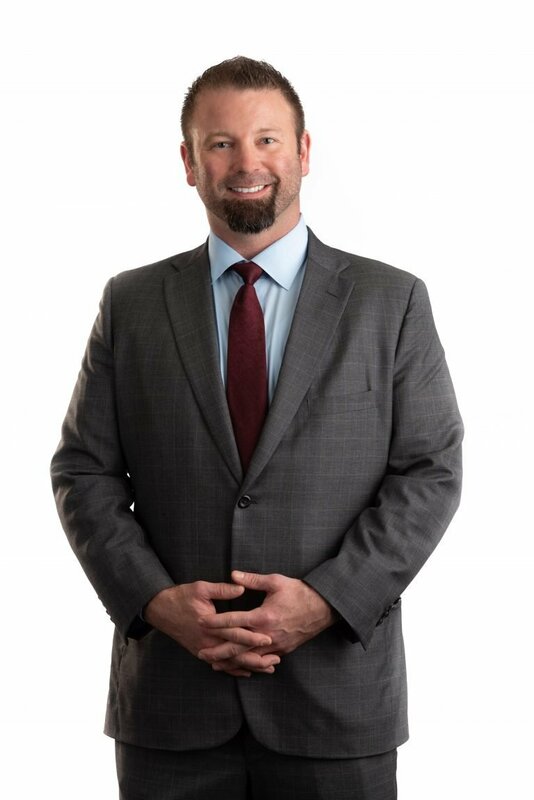 In 2016, less than seven years after becoming licensed, Rick was certified by the Texas Board of Legal Specialization in his practice area of Criminal Law. His practice is almost entirely dedicated to criminal trial and appellate law. He writes extensively and has been published in various forums across the state. Out of 70,000 attorneys in the State of Texas, less than 7,000 are board certified. The Texas Bar has estimated that only 10 percent of all Texas Bar members achieve this important distinction. But, lawyers can seek board certification in a number of different practice areas. As of 2016, there were only 842 lawyers IN THE ENTIRE STATE OF TEXAS who are Board Certified in Criminal Law. All initial consultations are risk-free and at no cost to you. It is recommended that Rick give your case a second look, so that you know all the options available. The last offer of a plea bargain, the last chance before trial. Rick and I reviewed all the facts. We talked. He shared more findings he had just uncovered. His empathy and professionalism were outstanding. I really trusted him with my life. With a deep breath I said, let's go to trial, no deal. Back in the courtroom, he went straight to the attorney for the DA and got busy. He talked and pointed. He got animated. More attorneys. More talking. Finally to the clerk and called me back to the conference room. I was breathless. With the most beautiful smile I ever seen, he said, all charges DISMISSED. Rick Oliver was a godsend. After my arrest for DWI, I had little money and absolutely no knowledge of the legal proceedings I was facing. Rick changed all that and worked with me despite my financial issues and still kept me very will informed with all aspects of my case. Rick made sure I knew all my legal rights and fought to ensure I was still afforded them. At every hearing, Rick was always very punctual and always had new information to pass on to me about my case. Any questions or concerns that I had were easily answered and addressed by Rick. I would strongly recommend Rick Oliver to anyone. An Attorney friend refereed me to Rick K. Oliver for a DWI case. I was lucky to talk to him right away as he encouraged me to go get my own toxicity scan as I had just gotten out of jail. I of course refused to let the police administer a test so this was very quick thinking to show I did not have illegal drugs in my system. He was very informative when I talked to him and he explained the law far more thoroughly when I talked to him than even the established DWI attorneys. I decided to hire Rick Oliver and it was the best decision I made recently. I was really rude to the cops that stopped me cause I was obviously pissed off. This was quite apparent on the tape and report. He still managed to get the case dismissed. After watching the tape myself I have to say he is worth 10 times what he charges.